Events in Jamaica are fun, intriguing, and exuberant. We have much to celebrate. 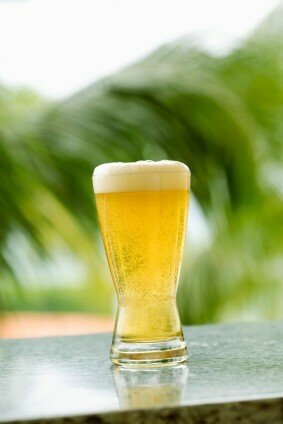 Our event calendar for 2013 is packed with June hosting one of our premier event - The Ocho Rios Jazz Festival. Do check out my calender of events in Jamaica where you'll find that we do celebrate a variety of events. There are many events happening through to the end of year which I am hoping you'll attend. Myrna Hague is known as Jamaica's First Lady of jazz and is listed as one of the performing artists at this year's Ocho Rios Jazz Festival. 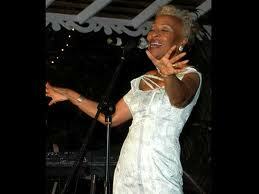 Of course her husband was jazz musician Sonny Bradshaw (deceased), the founder of Ocho Rios Jazz Festival. Her career began in the 1960s and performs at jazz venues around the world. Recently as guest vocalist with Jazz Jamaica, and as part of Women In Jazz and the Jamaica Big Band. This festival attracts top performers from all over the world. These concerts takes place all over the island. I hope you start making plans to join us. Here is a great salad to go with a nice glass of red stripe beer or served with your jerk chicken. In a another bowl whisk together vinegar, soy sauce and olive oil. Then add the rest of the ingredients of balsamic vinaigrette and let sit for a few minutes. To serve, pour vinaigrette over salad. Per serving: 344 calories, 27 gram carbohydrate, 6 milligrams cholesterol, 26 grams fat, 4 grams protein, 157 milligrams sodium.